With $6 billion in assets, I Fei Chang is thought to be the biggest female developer in the U.S.
Chang, a Taiwan native and a Yale grad, takes pride in her ability to move quickly. 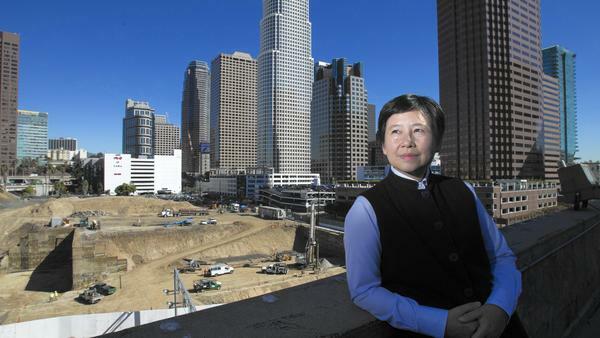 Chang is managing the $1-billion Metropolis hotel, condominium and shopping complex in downtown L.A.
With the economy accelerating, the pledge made in the 1980s is finally being fulfilled by a feisty developer from China who is leading the transformation of downtown’s skyline. 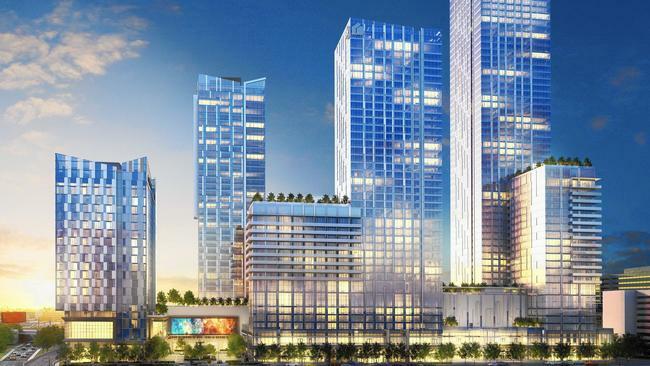 Last year, at the groundbreaking ceremony for her company’s $1-billion Metropolis hotel, condominium and shopping complex, she boldly declared that the four enormous buildings would go up “fast.” It was a promise that some developers dismissed as the naive statement of a newcomer unfamiliar with America’s dreaded permitting process. One of her first tasks for Metropolis was to whip designs out of Jernigan’s architecture firm, Gensler, one of the biggest in the world.